Up until the release of this year’s Ultimate Collector’s Edition Millennium Falcon, Lego’s 2008 rendition of India’s famous mausoleum was the biggest Lego set in production. Lego’s bringing the $370, 5,923 piece set back next month for its 10th anniversary. 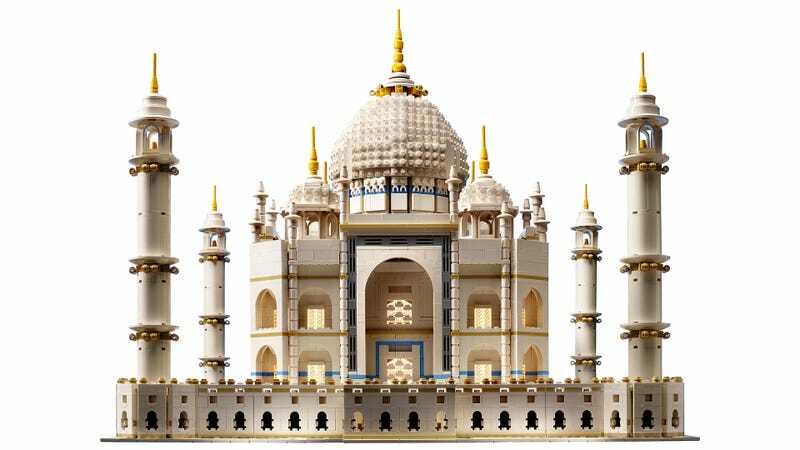 Standing 16 inches tall and 20 inches wide and deep, the Lego Taj Mahal is a build so massive that it splits apart into seven pieces for easy travel. It’s one of the most stunning commercial recreations the line has ever produced, capturing the unique architecture of the building and grounds wonderfully. The set will be available in late November for $369.99. While that seems like a lot, it blows the expected pricing formula (around $.10 or so a piece) out of the water. Plus, boxed copies of the 2008 original can run upwards of $3,000, so technically it’s a bargain! Check out the slideshow below for the latest shots of the rejuvenated set.